Lillian Nappier Lee, 87, of Windsor, was called home to be with the Lord at St. Francis Hospital on Monday, January 27, 2014 while surrounded by her loving family. 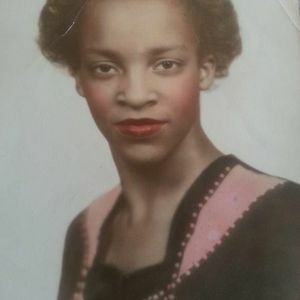 She was born on August 3, 1926, daughter of the late Connie Nappier, Sr. and Lutha Ophelia Jones, and attended the Hartford Public School System. Lillian graduated from Weaver High School and retired from the City of Hartford Board of Education as a Para-Professional. She leaves to cherish her memories four sons, Wm. Jeffrey Lee and his wife Melissa of East Windsor, Marc Lee, Sr. and his wife Pat of South Windsor, Keith Lee and his wife Dinavia of Encinitas, CA, and Kent Lee, Sr. and his wife Karen of Hartford; five daughters, Stephanie Lee of Windsor, Cecile Lee of Windsor, Michelle Pazoki of Windsor, Celeste Reid and her husband Dwayne of West Hartford, Karen Wright and her husband Robert of Windsor; 17 grandchildren, Marc, Jr., Stanley, Christine, Marchawnda, Brandon, Briana, Kendra, Nathaneal, Kent, Jr., Lauren, Maxwell, Bejàn, Tianna, Kenzi, Mahlaila and Nikole; one great-grandchild, Myles; one brother, Connie Nappier Jr. of New Britain; one sister, Hattie Louise Jones of Bloomfield, and a host of nieces, nephews, other relatives and friends. She was predeceased by her husband, William "Sonny" Lee; two sisters, Rose Nappier and Inez Mundy; and one grandson, Aris Hall. Her funeral will be held at Asylum Hill Congregational Church, 814 Asylum Ave. in Hartford at 11 a.m., Monday (February 3, 2014) with viewing from 10-11 a.m. prior to her service. In lieu of flowers, donations may be made to The American Diabetes Association in the memory of Lillian Nappier Lee. My sympathy to the Lee family. May you find comfort and hope in God's promise at Act 24:15 "And I have hope toward God, which hope these men also look forward to, that there is going to be a resurrection of both the righteous and the unrighteous."